Статья зарегистрирована ФГУП НТЦ «Информрегистр»: № 0421200131\0022. Статья выполнена в рамках проекта РГНФ «Информационно-исследовательская база данных “Современники Шекспира: электронное научное издание”» (грант № 11-04-12064 в). Аннотация ♦ В статье изложена концепция интернет-проекта «Информационно-исследовательская база данных “Современники Шекспира: Электронное научное издание”» (www.around-shake.ru), осуществляемого при поддержке РГНФ (грант № 11-04-12064в). Ключевые слова: современники Шекспира, интернет-проекты, история литературы, история культуры, Шекспир, электронные проекты, гуманитарные проекты. Abstract ♦ The paper represents the conception of an Internet project, “Information and Research Database Shakespeare’s Contemporaries: An Electronic Scientific Publication” (www.around-shake.ru) that is being carried out with the support of the Russian Foundation for the Humanities (grant No. 11-04-12064в). Keywords: Shakespeare’s contemporaries, Internet projects, literary history, cultural history, Shakespeare, electronic projects, projects for the humanities. In Russia, the towering colossus of Shakespeare has always been at the forefront, somewhat obscuring from the readers and viewers the whole dazzling and brilliant range of playwrights, poets and pamphleteers who were lucky to be named “Shakespeare's contemporaries”. Some of them, such as John Donne and Ben Jonson, have got a cult role of their own, thanks to scholars and translators, but on the whole, Russian audience is in urgent need of a resource which would bring together the available information on Shakespeare's contemporaries — Englishmen living in the latter half of the 16th and early 17th century — Elizabethans, Jacobeans, authors, businessmen, courtiers, theatre and university men. Our project is aimed at closing this gap. Ultimately, we see our project as a community of scholars, translators and all those interested in this period, working together on the achievement of a common goal. We are building a Russian-language electronic database of what is already available among translations, scholarship, dramatic adaptations, filmographies and biographies of Shakespeare's contemporaries. In the recent tumultuous decades of change, many important translations and pieces of scholarship have gone unnoticed, provincial universities do not have access to many of newly-published articles and monographs, Russian readers do not have an opportunity to learn about new developments in the Western, especially English-speaking, scholar community. Anti-Stratfordianism, “great-game” style conspiracy theories and pop scholarship are starting to monopolize their hold on the audience, especially students and professionals. An electronic database, freely available online, will become a source of scholar-vetted and fact-proven information on early modern English literature and culture. 1. Personalia articles on early modern English authors, actors, scholars, etc., as well as their Russian translators and scholars. 2. The translations proper, organized by name of author and translators. We are digitally republishing some works already in public domain, as well as later translations — with express permission from translators or their heirs. A good deal of translations, especially those from lesser-known authors, will be specially commissioned to best translators available and vetted for quality. 3. History of how the works of Shakespeare's contemporaries were adapted on the Russian stage, in music and visual arts. 4. Shakespeare's contemporaries in Russian and global culture — a series of scholarly articles, submitted by the authors or chosen by the project's team on the basis of their importance, with permission from the authors. 5. Theory articles, summarizing and generalizing the main aspects of influence Shakespeare's contemporaries have had on Russian poetic, dramatic, visual, musical and scholarly cultures. 6. Annotated bibliographies of most important scholarly works in Russian and English, with annotations written by scholars and submitted by readers. 7. The news section will include information about upcoming conferences, CFPs, new performances, translations, grants, contests, thesis presentations, etc. both inside and outside Russia. 8. We are also going to set up and maintain a users' forum, discussion groups on all major social networks, a collection of useful links, and an online form to provide consultations for students and readers. We aim to build a project similar to “Encyclopædia Britannica's Guide to Shakespeare”, with a strong scholarly slant and attention to minute details. 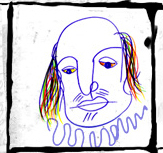 Our team's two previous projects, “Russian Shakespeare” (www.rus-shake.ru) and “Shakespeare's World: An Electronic Encyclopaedia” (www.world-shake.ru), have been focused on the works, personality and adaptations of Shakespeare. Placing Shakespeare now in the context of complex developments in early modern English literature, culture and history, we hope our project will help the promotion of scholarship in Russia as well as strengthen the links between Russian academic and artistic communities and their English-speaking counterparts. Makarov Vladimir Sergeevich, Candidate of Philology, Associate Professor, English Language Department, Kazan State University. Макаров Владимир Сергеевич — кандидат филологических наук, доцент кафедры английского языка Казанского государственного университета. Библиограф. описание: Makarov V. S. Shakespeare's Contemporaries: Project Overview [Электронный ресурс] // Информационный гуманитарный портал «Знание. Понимание. Умение». 2012. № 2 (март — апрель). URL: http://zpu-journal.ru/e-zpu/2012/2/Makarov_Shakespeares-Contemporaries/ [архивировано в WebCite] (дата обращения: дд.мм.гггг).